WASHINGTON – Pine Grove Behavioral Health and Addiction Services is proud to join over 450 local, state and national organizations at the “UNITE to Face Addiction” rally, a free event on the National Mall in Washington, D.C. on Sunday, October 4, 2015. This coalition will launch a first-of-its-kind campaign to confront America’s denial about the most urgent health crisis facing our nation today – addiction to alcohol and other drugs. The rally is being planned by Facing Addiction, a new organization dedicated to changing the conversation around, and bring new solutions to, the addiction crisis in America. 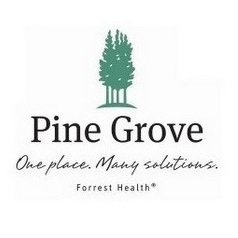 When asked about Pine Grove's partnership with UNITE to Face Addiction Lauren Kirschberg, Outreach Associate with Pine Grove’s Alumni Program said, "Addiction impacts 1/3 of all American households and of the people who need treatment 90% do not receive it. Pine Grove is honored to partner with UNITE to Face Addiction to help transform the conversation from problems to solutions for one of the most important a issues of our time." The event will feature musical performances by Joe Walsh, Steven Tyler with his Nashville-based band, Loving Mary, Sheryl Crow, Jason Isbell, The Fray, and John Rzeznik of the Goo Goo Dolls; powerful, inspirational speakers from all walks of life who have been affected by addiction; and remarks by celebrities, elected officials and other advocates who will join together to stand up to addiction. “Together we must find solutions to the addiction crisis and put a face on the hope that survivors offer,” said health expert and television host Dr. Mehmet Oz, in a PSA released today in support of the event. In addition to Dr. Oz, other notable individuals who have already embraced and endorsed this event include Congresswoman Mary Bono, Miss USA 2006 Tara Conner, Congressman Patrick Kennedy, Author and Activist Christopher Kennedy Lawford, Author and TV Host Pat O’Brien, Entrepreneur and Music Producer Russell Simmons, former Major League Baseball Star Darryl Strawberry, Massachusetts Governor Bill Weld, Former Astronaut Steve Oswald and many more. There are many ways to get involved with this groundbreaking event – Pine Grove Behavioral Health & Addiction Services is organizing a delegation to attend, and there are various volunteer opportunities available. Supporters can also get involved by donating to end the silence around the addiction crisis by texting FACING to 41444. Additional performers and special guests will be announced in the coming weeks. For more information about Facing Addiction, including how to donate and updates about the UNITE to Face Addiction rally, please visit FacingAddiction.org and follow @FacingAddiction and #UNITEtoFaceAddiction on Twitter. The UNITE to Face Addiction rally is being organized by Facing Addiction Inc., a 501(c)3 organization dedicated to finding solutions to the addiction crisis, as well as an independent coalition of national, state, and local non-profit organizations. For more information, visit FacingAddiction.org.